1.We may supply mechanical keyboard according to client’s special requirements. Concerned about the best result of personalization, standardization and modularization. 2. Mass customization is welcome. Not only just printing logo, from the keyboard case shell, PCB board, switch, key cap, to drive software, all can be customized. 3.With our seasoned R&D team, all of our products have independent copyright, so even modifying the customization program ( including firmware and driver software ) is convenient. can be acceptable. Low minimum order quantity required. Maybe our smart RGB backlit mechanical keyboard what just customized for you, can be regarded as a perfect promotional gifts to your customers. 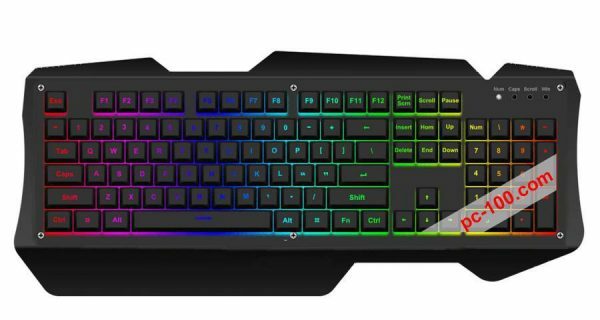 Customize the full RGB backlit multiple layers programmable mechanical gaming keyboard for you, it should be certain to be your star product. Linkage RGB LED lighting effects with e-sport gaming can strengthen the gaming experiences to your gamers. Powerful promoting for your gaming brand. PCB main board with nanometer technology for waterproof & dustproof , fit for internet bar using. Welcome merchants with strategically-minded contact us for customizing this kind of optical mechanical keyboards. Benefit both of you and your customers. maybe our Bluetooth mini mechanical keyboard can be regarded as a perfect promotional gift for your customers. Our R&D Team – GeekCustom Team is located in China Silicon Valley – Shenzhen, keep technology continuous innovation, to maintain the industry’s leading position. Company is located in Shenzhen, adjacent to Hong Kong, global logistics developed. Whether you choose express, air or sea, quite faster to worldwide. And logistics costs are quite competitive. With many years of foreign trade team, skilled import and export processing for clients. A mechanical keyboard is a keyboard that uses a mechanical switch under every key, mechanical keyboard often includes an array of back light options, they typically light the keys from under the keycaps, that means the light shines up and around the key, lighting both the letter and the space around the square of the key cap. Sound, feeling, press, arrival distance of key switch make you feel very different when typing. Mechanical keyboard may be for both playing game and office. Our mechanical keyboard is anti ghosting for all keys and can be adjusted by our mechanical keyboard driver software. We welcome companies, especially, game companies, order their custom mechanical keyboard in bulk, custom shape and panel, customkeyboard color and key cap color & printing, custom back light effects and dynamical light styles…..
1)Ergonomic designed mechanical keyboard, removable and selectable panel frame. Character of keycaps with double-shot molding, never fade out. 2) 100% anti-ghosting with all 104 Keys, 100% anti-ghosting mean that every key you touch translates directly into the game. 3) Every key is with individual RGB LED lamp. RGB full color LED light makes you can do many many cool back light effects. Pluggable key caps and key switches. 4) This default mechanical keyboard is predefined 9 LED dynamic light effects (21 styles totally), with the combined control keys to shift among the 9 effects, or shut off the LED light. 5)You may add your custom backlight patterns to the mechanical keyboard. Support 3 user-defined backlight effects, Fn + F10, F11, F12. Press Fn+F10 activate “User Defined 1” back light style, then, press Fn+F10 a second time to enter the edit status, then you may define the back light of the keys on mechanical keyboard, press Fn+F10 to save and escape edit status. 7) One key to reset to default factory settings. 8) Replaceable key caps and key switches. Use a special puller tool, you may unplug any keycaps and key switches on the mechanical keyboard, certainly, you may plug some other styles of keycaps or key switches instead. 9) Customizable keycap color. you may choose your own keycap color and design your own keycap color distribution style. 10) Customizable key switchs. including switch color and switch press feel. 11) Customizable keyboard panel frame. 12)Customizable letters printed or engraved on keycaps, any custom pattern or logo printing on mechanical keyboard panel. 13）Mechanical keyboard driver tools for setting (Can be installed on Windows XP, Vista, Win 7/8/10… ). Once this driver tools were installed in your PC, you may make your own config for your mechanical keyboard including: define the keys, design your own back light effects, recording macro…. The mechanical keyboard would be fully programmable. With the driver tool software, any key can be reassigned and macros can be set up. The software is also used to configure the illumination. There are many different back lighting modes and effects available. 15) All our mechanical keyboards passed FCC, CE, RoHS testing and get certificates.